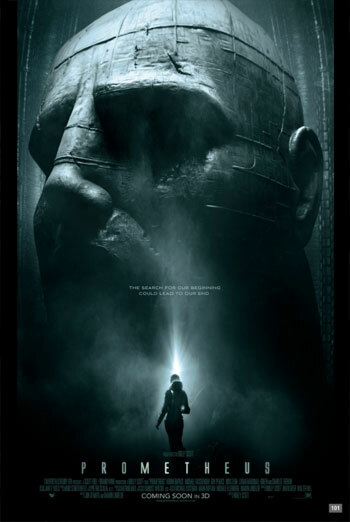 PROMETHEUS is a science fiction horror film in which a group of people travel to a distant moon. It was classified '15' for strong violence, gore, threat and horror. The film contains a number of scenes of strong violence that feature heavy blows and bloody detail. For example, in one scene a character's arm is broken, revealing blood and bone, and in another scene a character's head is smashed against the floor, resulting in a large spurt of blood. This emphasis on bloody detail exceeds the terms of the BBFC's Guidelines at '12A'/'12' and is more appropriately classified at '15' where the Guidelines state 'Violence may be strong but should not dwell on the infliction of pain or injury'. There are also some scenes featuring gory detail, both when dead bodies are seen and when people are injured. One scene features some gory surgical detail that exceeds the type of 'occasional gory moments' that may be permitted at '12'. The Guidelines at '12A'/'12' also state 'Moderate physical and psychological threat may be permitted, provided disturbing sequences are not frequent or sustained'. The second half of the film in particular features a sense of threat towards the central characters that is both frequent and sustained.